Mukul Sharma’s take on Hindutva’s influence on environmentalism ignores the remarkable hybrid nature of India’s ecological movement. The resurgence of Hindu nationalism in India during the 1980s and 1990s manifested itself not only in the sphere of formal politics, but also in the social and cultural domain. The change in elected government and the incidence of communal violence was supported by the parallel spread of Hindutva-inspired ideas and ideologues in school classrooms and scholarly research in history and archaeology. These aspects of Hindu nationalism have been extensively studied and exhaustively criticised. What has received less attention, however, is the influence of Hindutva on environmentalism – a cause often regarded as above and beyond parochial politics, dealing as it does with saving the planet. 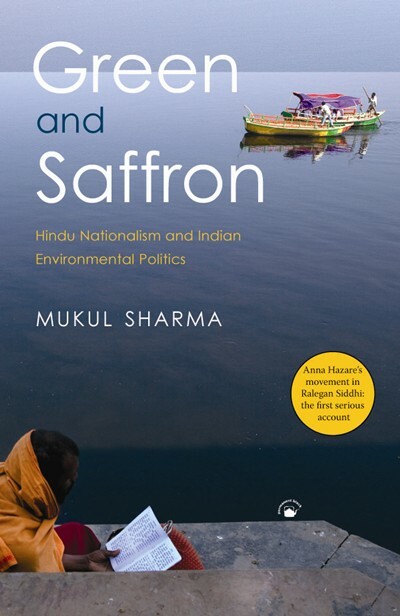 Mukul Sharma’s Green and Saffron sets out to fill this gap, asserting that a ‘large part of the panoply of environmental politics in India today in fact reveals some political allegiances or affinities with Hindu nationalist and authoritarian forces’. This is a startling claim, especially for readers who have grown up with Chipko and Narmada Bachao Andolan and who have observed how these iconic campaigns have crafted a vision of ecological change that places the poorest first. If there are ‘affinities’ with Hindutva and ‘authoritarian forces’ – and these must be shown rather than merely asserted – are they a defining feature of environmental politics? According to Sharma, ‘Hindu environmental politics fabricates glorifications of “Hindu” land, rivers, forests, community, tradition, self-reliant villages, and ancient nature philosophy; simultaneously it condemns modernisation, Westernisation, and globalisation.’ If that is the case, then not only are Chipko and Narmada tainted with ‘saffron’, but Mahatma Gandhi, whose philosophy contains all of the above elements, should be placed in the same category as his killers. In his anxiety to make his case, the author does not acknowledge that, while environmental movements and Hindutva politics may share certain ideas, these ideas are refracted through very different political values and take on radically different trajectories in actual practice. 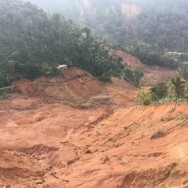 When it comes down to analysis, Sharma’s sweeping accusation shrinks down to the presentation of three case studies: (i) watershed management in Ralegan Siddhi, a village in Maharashtra; (ii) the campaign against Tehri dam in Uttarakhand led by Sunderlal Bahuguna; and (iii) the Vrindavan Conservation Project in Uttar Pradesh led by the WorldWide Fund for Nature-India. 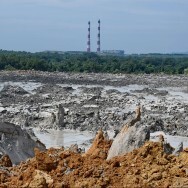 While these well-observed cases illustrate the author’s contention, they form a somewhat slender evidentiary basis on which to damn the entire spectrum of environmental politics in India. Ralegan Siddhi, an impoverished and drought-stricken village, witnessed a sharp upturn in its fortunes after it collectively undertook soil and water management works led by Anna Hazare, who has been in the news this past year for campaigning against corruption. Hazare’s discipline bound villagers into a unified community, but one where ‘disobedient’ people were severely punished and where several Dalits felt trapped in their traditional position at the bottom of the social hierarchy. Sharma argues that Hazare’s authoritarian vision draws on Hindutva’s ‘eco-naturalism’ and ‘eco-primitivism’, which justify the unequal social order of the traditional Indian village as primordial and organic. At the same time, Hazare’s attempt to invoke patriotic sentiments – not unusual in a village where more than 200 men serve in the army – is interpreted as a form of ‘eco-nationalism’, or the belief in the sacredness of the landscape of one’s nation-state, tying social identity to a naturalised place. The research on Ralegan Siddhi was conducted in 1999; readers would have benefited from a better updated account that examined whether social relations in the village became more democratic in the following decade, when the focus of Hazare’s reformist energies shifted to the state and national level. The absence of more recent documentation makes the other two case studies seem frustratingly fragmentary. The research on the campaign against the Tehri dam focuses on the protest by the Vishwa Hindu Parishad in 2000 but does not tell us the fate of the project and of the opposition to it, or even the fact that the dam started working in 2006. The author could have traced the continuing debate around Himalayan dams in Uttarakhand, where the Congress-led government has raised concerns about the purity of the river Ganga and the maintenance of minimum flows for ritual purposes, and has cancelled several proposed projects on the river’s tributaries. 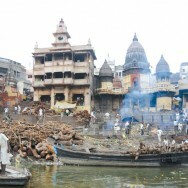 The chapter on the Vrindavan Conservation Project, which describes how Dalits and Muslims were excluded from an urban cleanliness campaign that appealed to the religious sensibilities of Hindu residents and pilgrims by invoking the area’s association with the god Krishna, also stops short of discussing the ultimate outcome of the initiative. The three case studies, then, can be read as analyses of three moments from the 1990s, but are not necessarily representative of that period or, for that matter, of environmental politics in India since Independence. Another chapter looks at environmentalism among conservative Western European political parties which ‘[connect] their environmental concerns with protection of the homeland and national identity, the maintenance of national ethnic homogeneity, the threat of immigration, and the need to follow not only the laws of nature but also those of culture, tradition, and community.’ Sharma goes on to discuss the writings of Lothar Schreyer, Ernest Haeckel and Richard Darre – thinkers whose espousal of deep-seated German Romantic notions of ‘blood and soil’ shaped Nazi ideology. 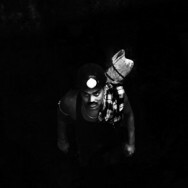 However, while the author takes pains to point out that ‘the majority of European Green movements and Green political parties in Europe are overwhelmingly anti-racist, internationalist, redistributive, and in favour of their idea of social justice’, it is puzzling that no such character certificate is issued to Indian environmental movements. Perhaps in order to emphasise the USP of his argument about ‘saffron and green’, the author dismisses previous scholarship on environmentalism as ‘largely celebratory in tone’, despite the fact that the literature contains critiques of neo-traditionalists, authoritarian biologists, deep ecologists, tribal romanticists, and bourgeois environmentalists. The darker side of environmentalism has also been analysed in terms of its convergence with the agenda of neoliberal governmentality. 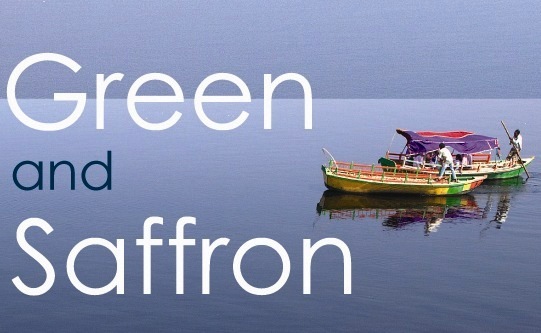 Green and Saffron sidelines the hybrid nature of Indian environmentalism – both ideological and practical – as well as its detailed analysis in the extensive scholarship on the subject, to stress the singular significance of the book’s own critique. In a less experienced scholar this attitude could be excused as nervous posturing, but it seems uncalled for from a veteran researcher. Equally troubling is the use of long quotations from other books without proper citation, a discourtesy that borders on plagiarism. In its quickness to condemn Indian environmentalism, Green and Saffron fails to seriously engage with questions of religion and politics. What is the place of religious belief in progressive politics? When villagers at a Narmada Bachao Andolan protest rally lustily sing the bhajan ‘Ma Reva tharo pani amrit’ (Mother Narmada, your water is nectar), is that Hindutva at work? When the Yamuna Jiye Abhiyan combines hydrological arguments with invocations of Hindu sacred geography to persuade more people to protect the Yamuna and other rivers, is it standing in for the Hindu nationalists of the Sangh Parivar? Are the myriad everyday practices around rivers, mountains and forests which are suffused with religious feeling always politically incorrect? By suggesting that they are, Sharma hands Hinduism over wholesale to the Hindutva brigade. If Hinduism is a set of cultural beliefs anchoring current practices and imagined futures, based on greater respect for all living beings and for ecological systems, reformers such as Gandhi have struggled to detach it from its exclusionary and discriminatory aspects vis-á-vis Dalits and Muslims. Just as language is a set of cultural symbols that creates community and also dictates who is outside it (a book written in English does precisely that), the cultural symbols particular to a specific Hindu group may also leave other groups out, including other Hindus. Yet through translations and multilingualism, through fostering a democratic plurality of cultural symbols and promoting dialogue between diverse strands of environmental ideology, social movements attempt to acknowledge and address social and cultural differences. It is the friction created by the juxtaposition of incommensurable ideas and values that gives environmental movements their peculiar spark, one that ignites new ways of thinking and being. If Sharma had widened the scope of his enquiry to consider the creative tensions of an environmental politics that marries science with religion, humanism with an ethical respect for ecology, Green and Saffron would have offered less polemic and more substance. 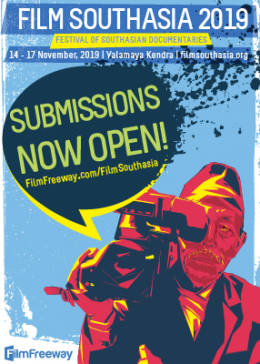 ~ Amita Baviskar is a sociologist whose research focuses on the cultural politics of environment and development.